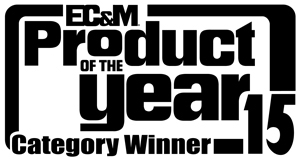 Leviton is pleased to announce that its SmartlockPro® Combination AFCI/Switch has been named a 2015 Product of the Year Category Winner by Electrical Construction & Maintenance (EC&M) Magazine in the Wiring Devices category. This award-winning device will go on to compete for the EC&M Magazine 2015 Product of the Year Platinum, Gold and Silver Awards, which will be determined through an online readers' poll. The SmartlockPro Combination AFCI/Switch provides the convenience of arc-fault protection and a single pole switch to control lighting loads in one device. An AFCI is designed to detect a wide range of dangerous electrical arcing faults. When a potentially dangerous arc is detected, the AFCI responds by cutting off power to help prevent the arc-fault from igniting a fire. The Combination AFCI/Switch is an easy way to incorporate AFCI protection into existing homes either as a replacement switch or for extensions or modifications. It is ideal for kitchens, family rooms, bedrooms, dining rooms and hallways. "Leviton is pleased that EC&M Magazine recognizes the safety features and innovation of our SmartlockPro Combination AFCI/Switch," said Bill Grande, Leviton's Director of Safety Products. 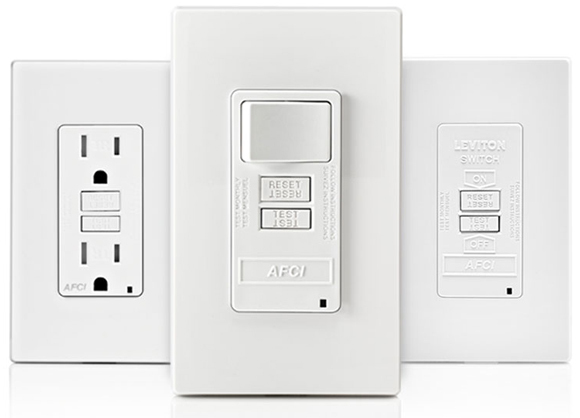 "AFCI devices provide important electrical safety protection to homes and commercial properties, and Leviton offers its customers the most advanced products on the market." Leviton SmartlockPro AFCI products feature Leviton's patented reset/lockout technology which automatically tests the AFCI every time the RESET button is pushed. The AFCI will not reset if the device is not wired correctly or functioning properly. This smart feature reduces the possibility of end-users incorrectly assuming that the AFCI is providing protection when it is not. 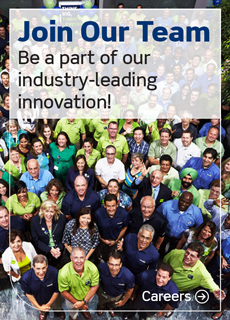 Leviton SmartlockPro AFCI devices meet all applicable Underwriters Laboratories (UL) Standards. They are available in a variety of colors and are compatible with Leviton's complete line of signature Decora® wiring devices and wallplates.